Try to look at your current situation, do you end your day with lots of unfinished task? Work at home as often as work at your place of business? IF you find yourself that you have no time for revenue generated or customer acquisition activities, then you may need to hired more employee to help you with activities like answering call, paying bills or other activities that you do not need to actually involve yourself with it. Do you put less time of your customer service? Just scan through your customer complaint and feedback? Insufficient employee may cause your company cannot handle customer effectively and make customer feel that they are not so important to your company and switch to other company. This is the time for your company to hired more employee where customer is your source of revenue and even help you to promote your company. Hired more employee to serve customer where no business can afford to lose customer whether existing or potential customer. If your current employee is working with huge stress and workload, then it may be the time to hired more employee to handle the workload. The situation where employee display lack of attention, request off day frequently also the sign that you need to hired more employee. You cannot just focus on reduce the cost and increase revenue but you may also need to care about your employee whether they really need help or not. It is impossible for employee to work in stress for long period of time and handle huge workload constantly. Make sure your business can hire it. When hiring more employee, make sure that your company are able to hire them. 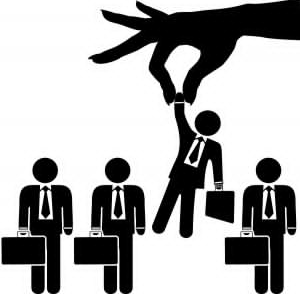 It is true that hired more employee can help your company to handle future task more efficiently. However, if the company cannot afford to hire extra employee and it still hired, then it may just have opposite effect where company need to spend more on employee. Therefore, hire more employee when it is really necessary and don’t just hire employee for nothing.